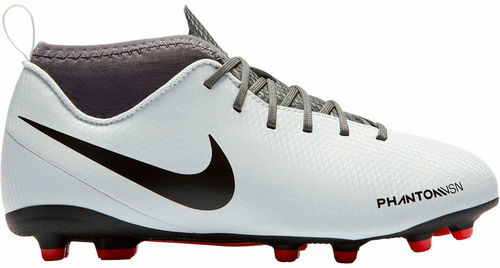 The Nike Jr. Phantom Vision Club Dynamic Fit Younger/Older Kids' Multi-Ground Football Boot has a comfortable fit with an internal sleeve that hugs your foot and a sock-like collar around your ankle. Textured synthetic leather gives you precision and control on the pitch. A versatile multi-ground plate provides traction on natural- and artificial-grass surfaces.